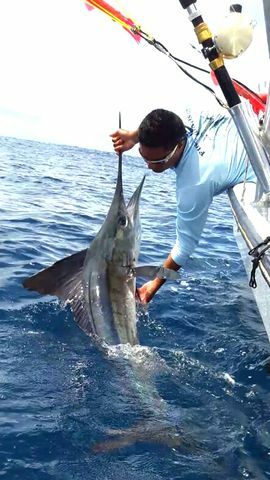 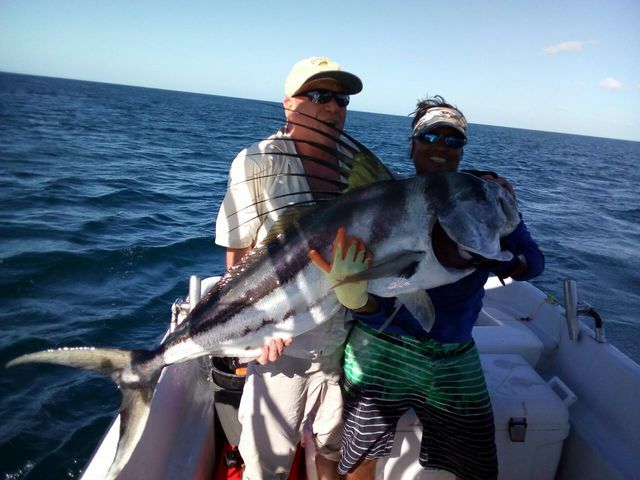 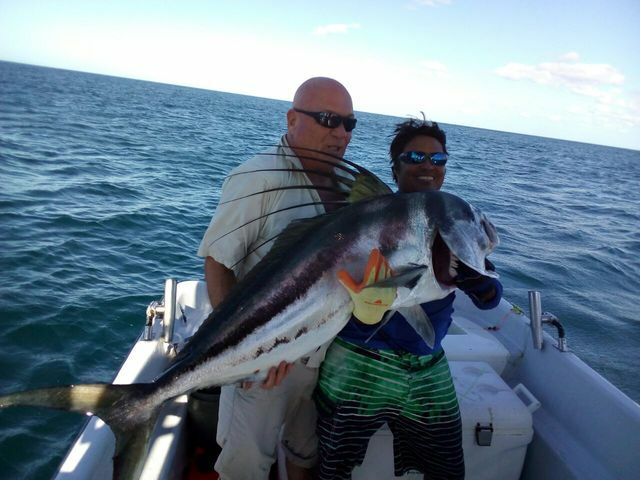 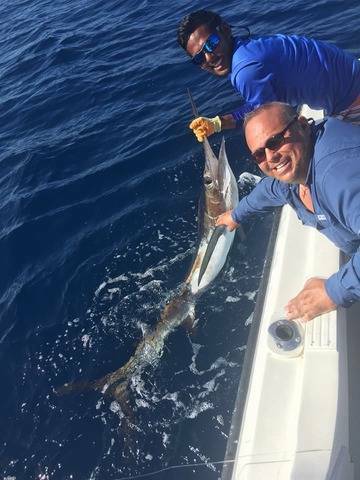 Bob Zuniga’s group nabbed the fish of a lifetime on July 11 with this strong Striped Marlin release on July 11. 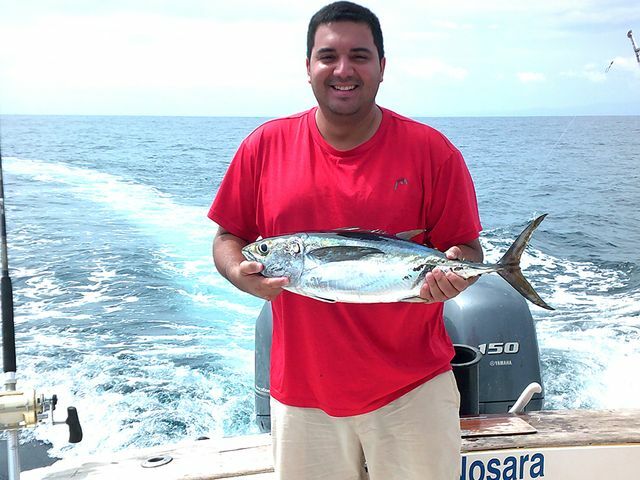 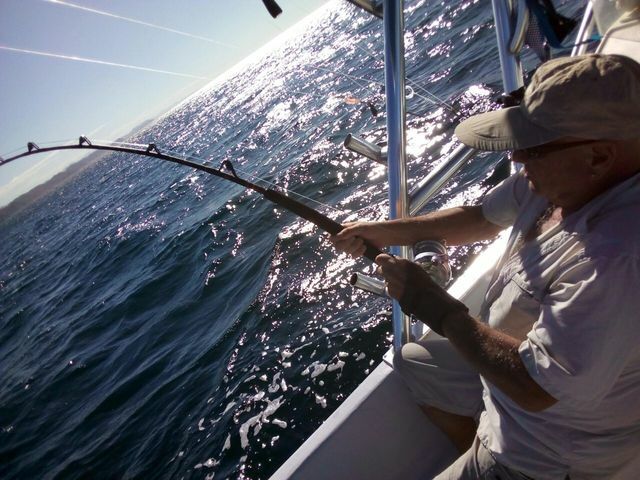 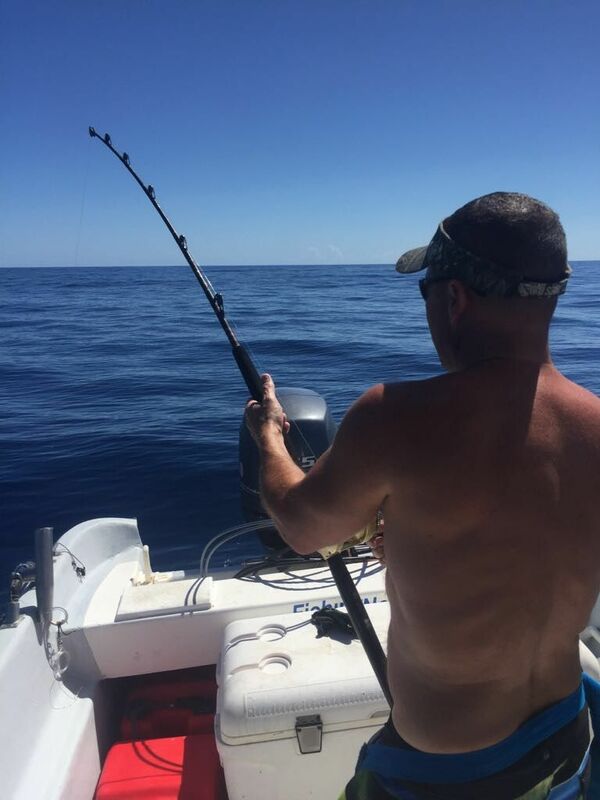 Later on in the trip they added a nice White Tuna…a rare find this far offshore. 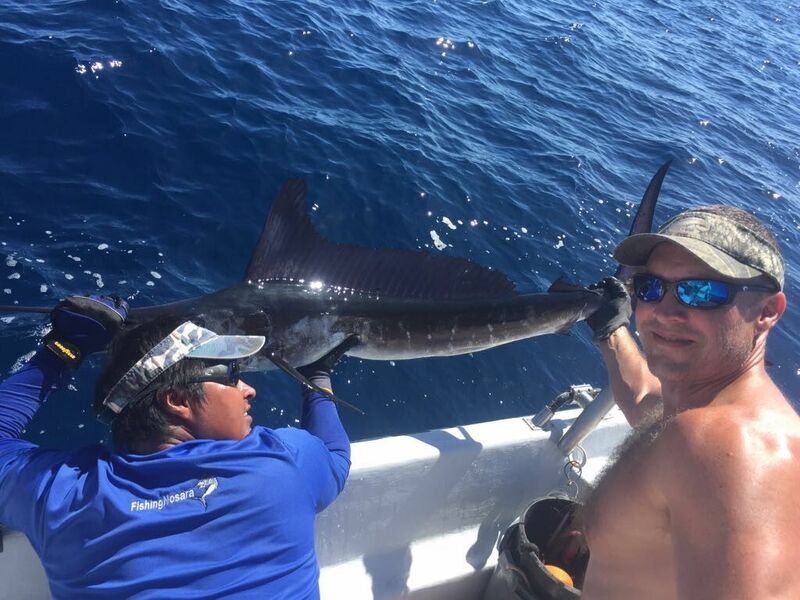 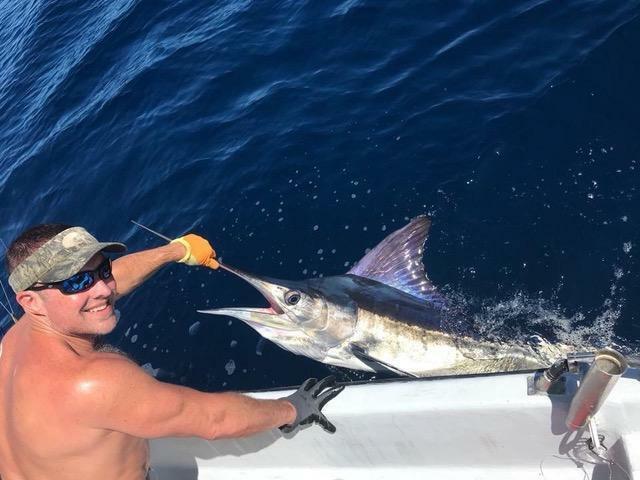 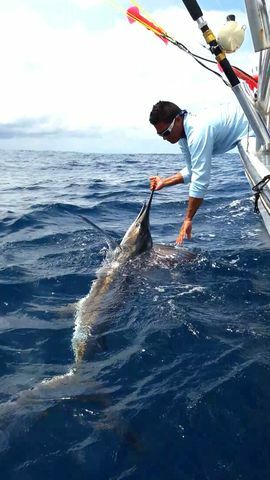 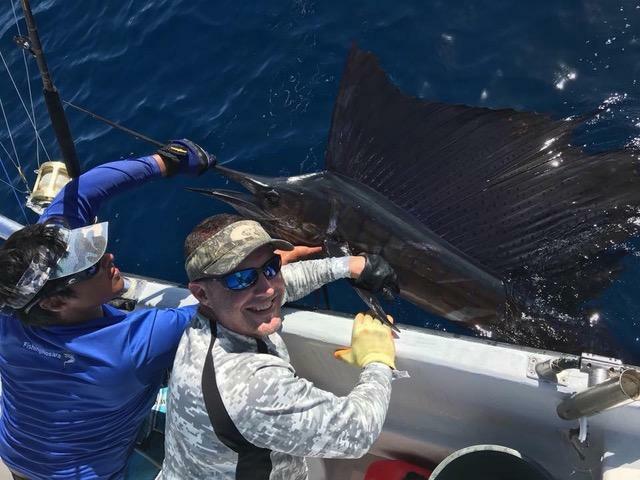 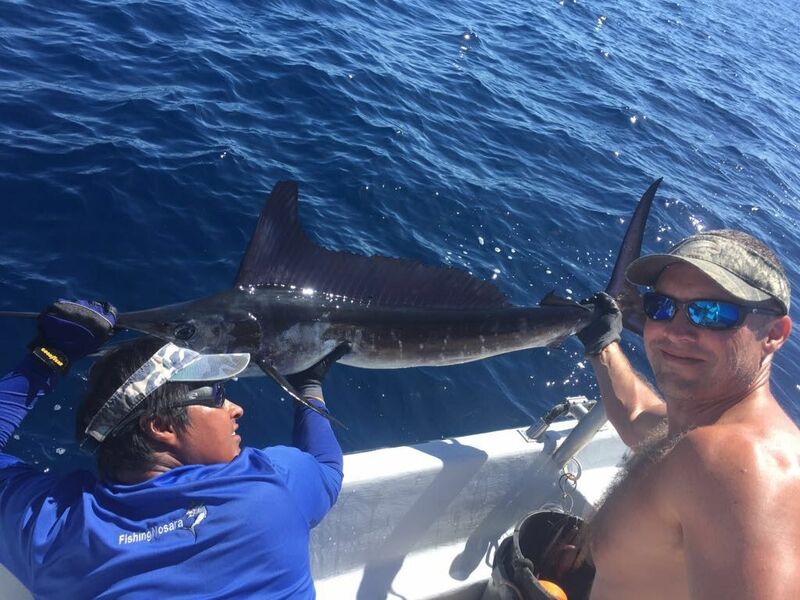 The Harvester took Chuck Harris and his group along for a big bill fish battle on June 13, nabbing this wonderful Marlin release with these North Florida anglers. 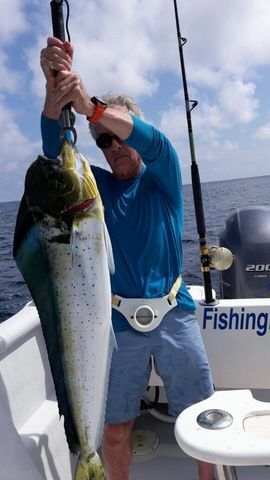 All this billfish battling can work up an appetite, so it was a good thing that Chuck scored this floor-sweeping Dorado for the dinner table. 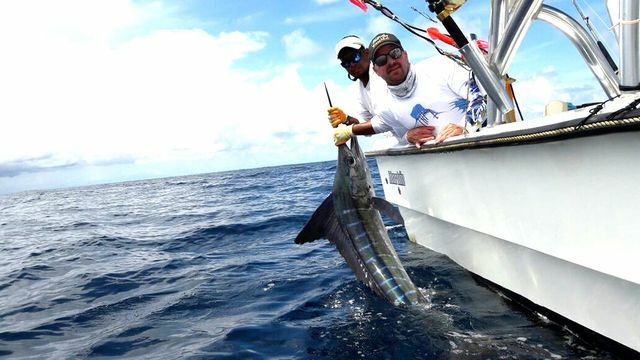 Amazing action on these trophy releases! 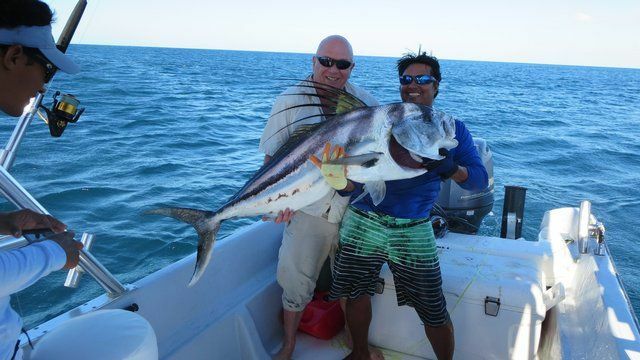 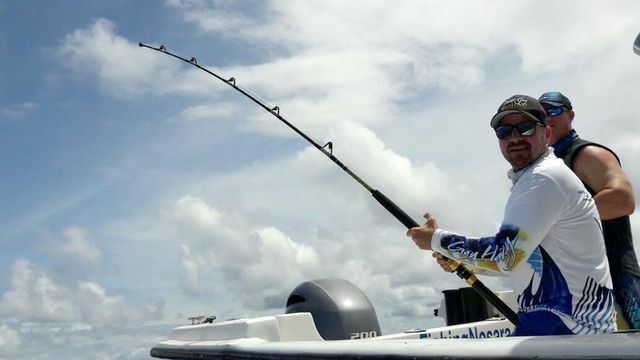 Dave Logan invested a full day of effort on December 30 and was rewarded with a bunch of great catches. 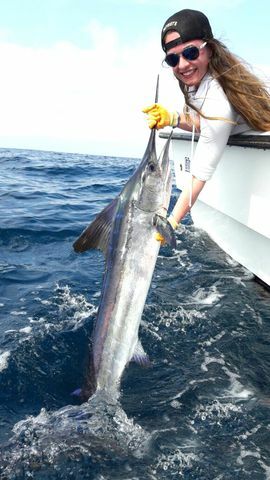 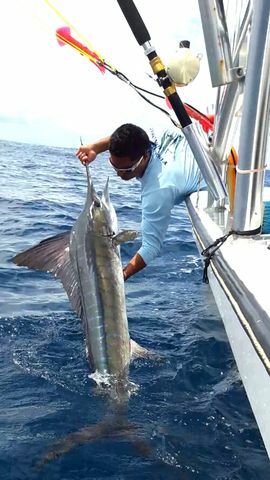 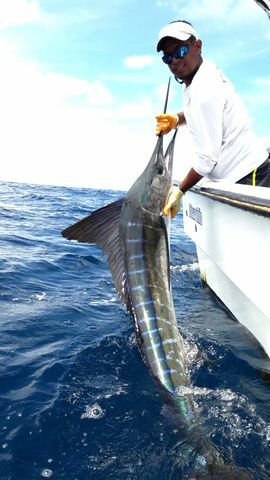 This Striped Marlin release got the day off to a great start, then throughout the day they nabbed several nice Dorados. 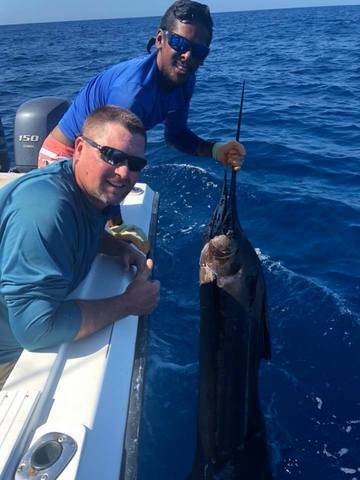 Steve Mears pulled off one of the great feats in offshore fishing on December 30 with the Explorer…the Billfish Grand Slam! 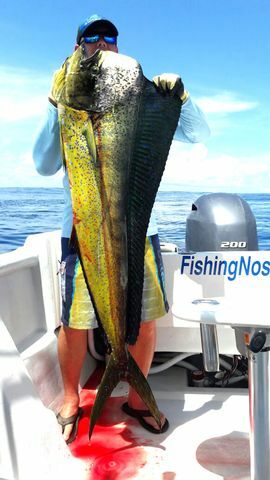 Captain Fico and Mate Elias deserve tons of credit in the hunting of these monsters, and of course the safe live releases. 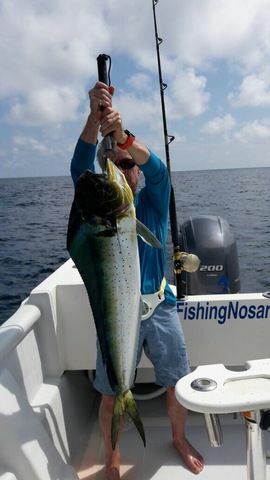 Great work by FishingNosara Hall of Famer Steve Mears! 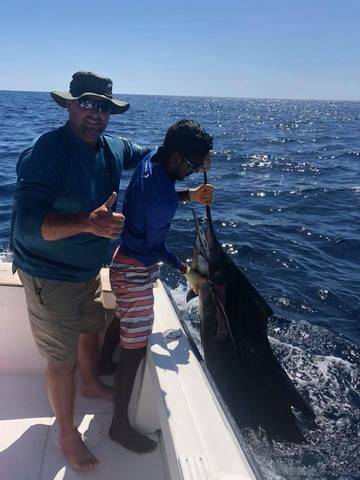 On December 29, Captain Fico delivered the goods for angler Michael Baoley with lots of billfish action backed up by some excellent meat fish. 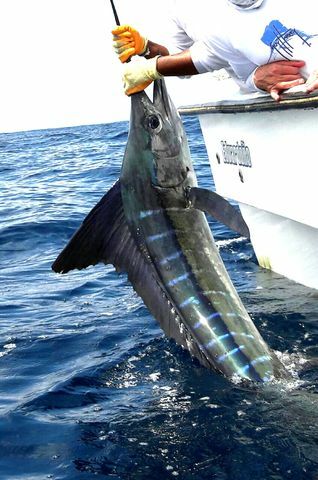 This small Marlin is likely a juvenile Striped Marlin, but may also be an elusive Hatchet Marlin. 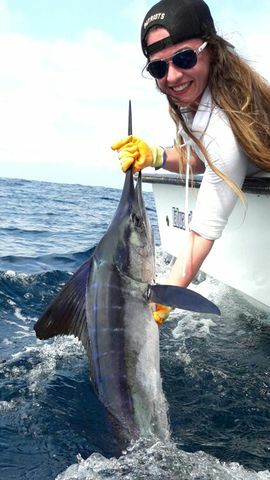 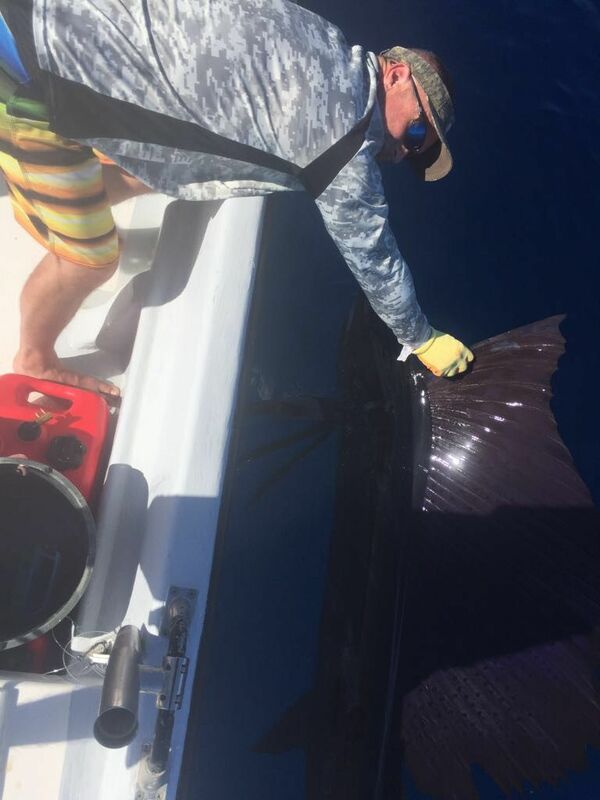 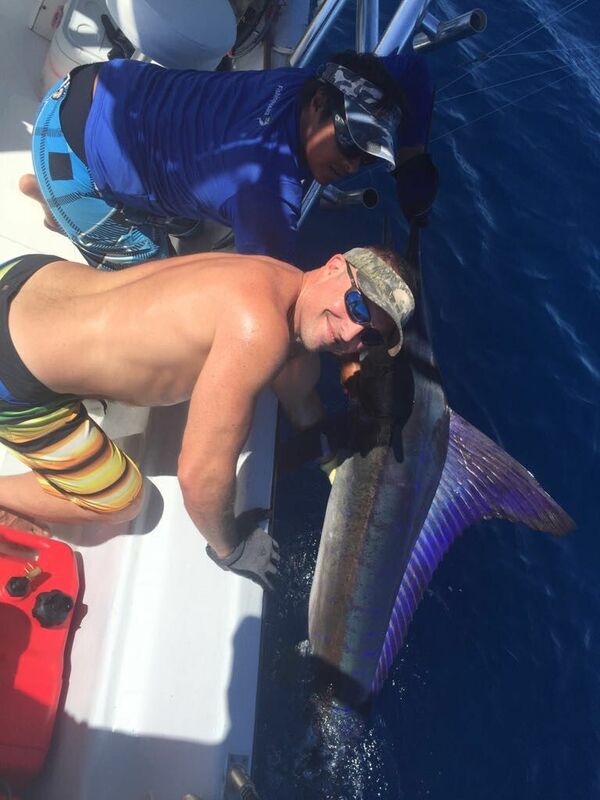 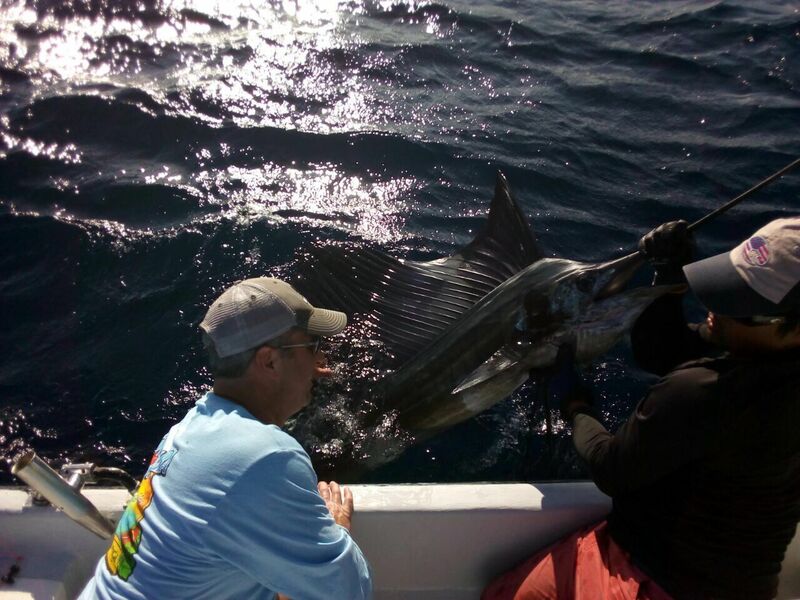 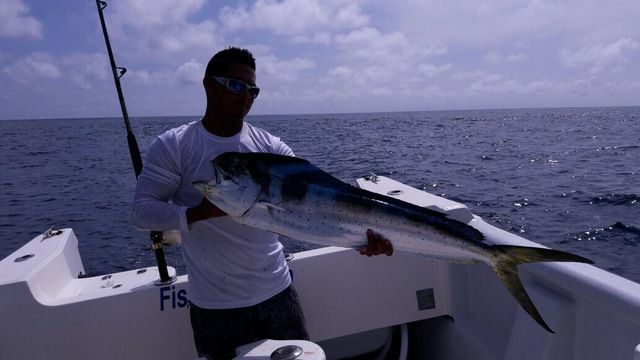 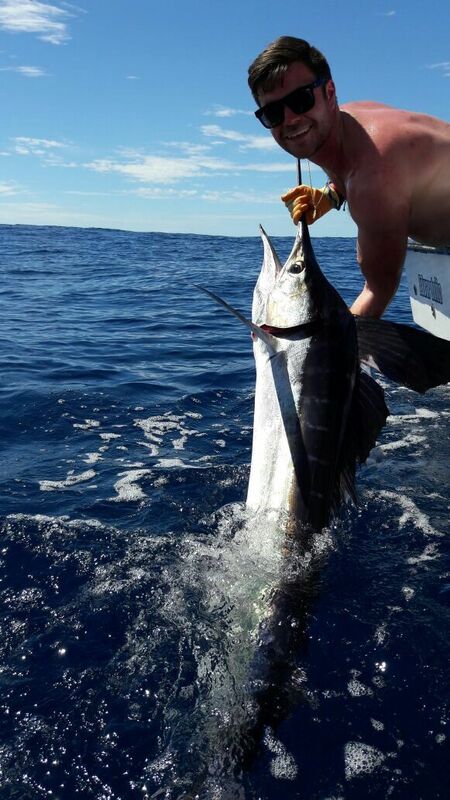 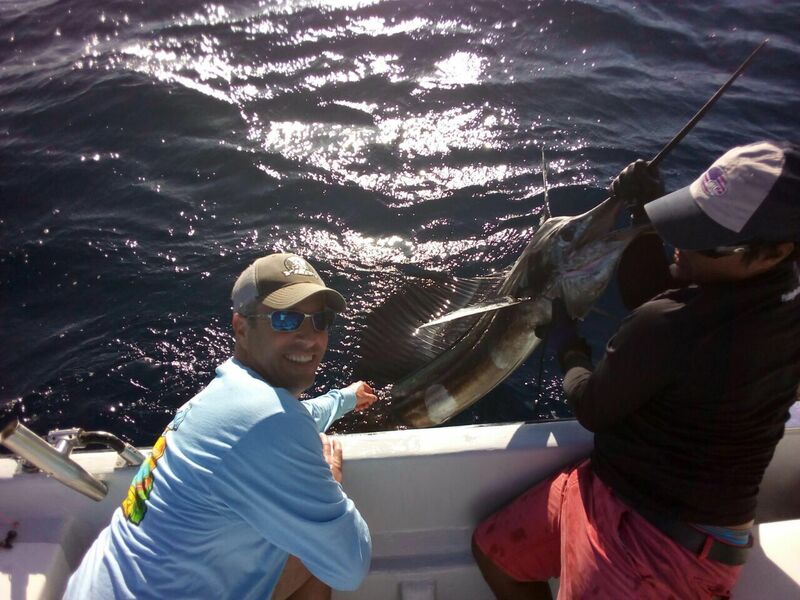 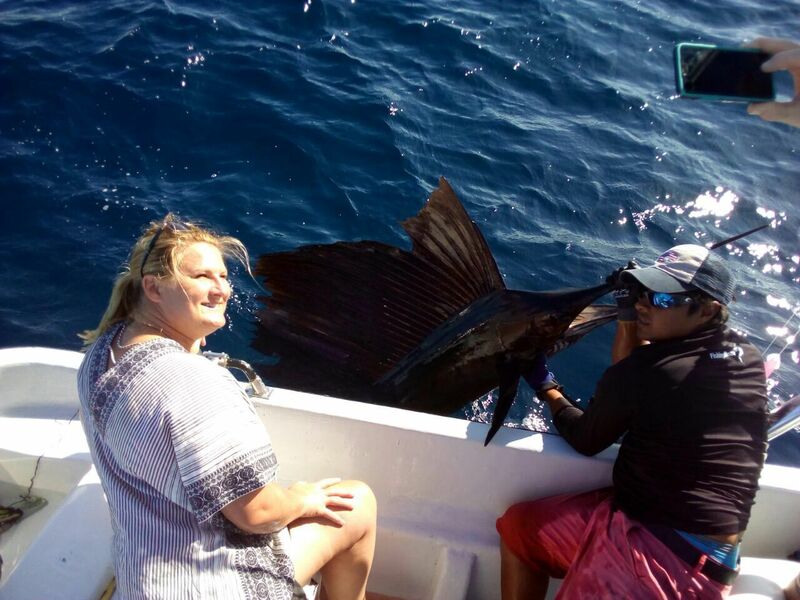 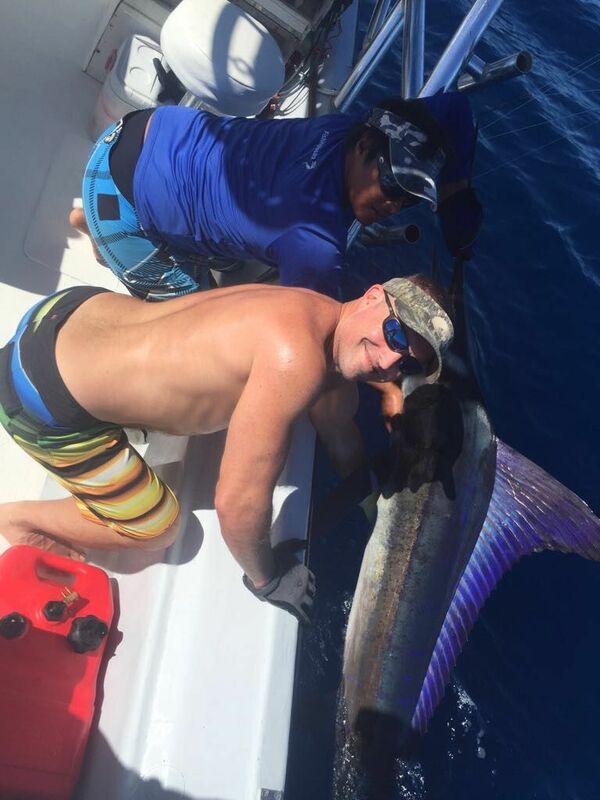 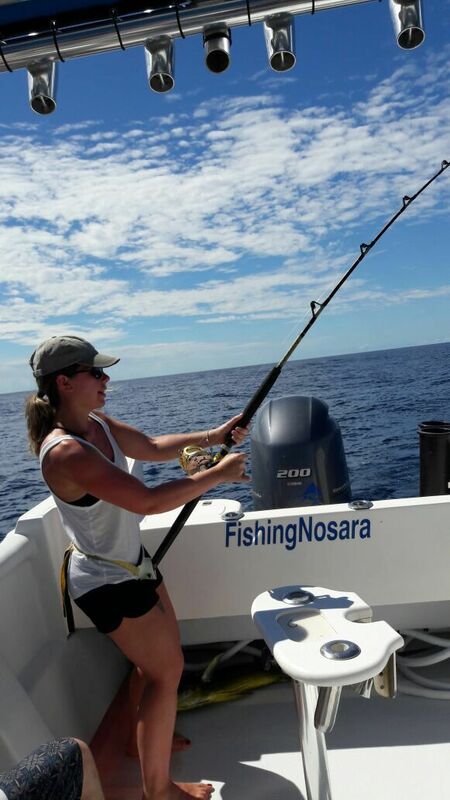 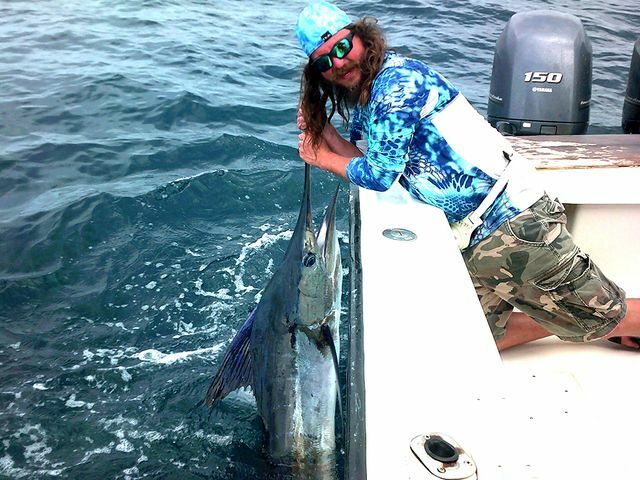 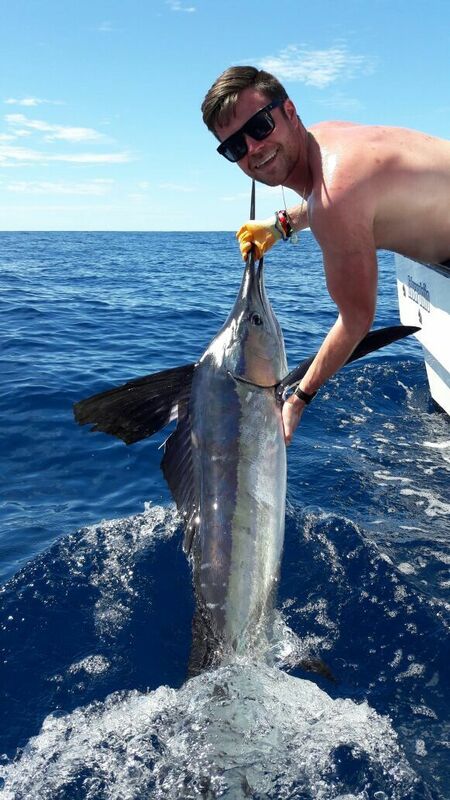 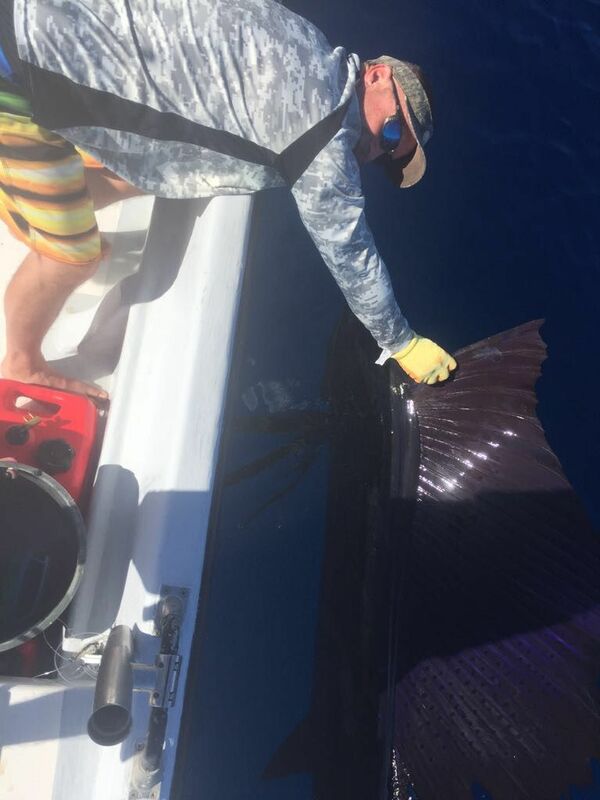 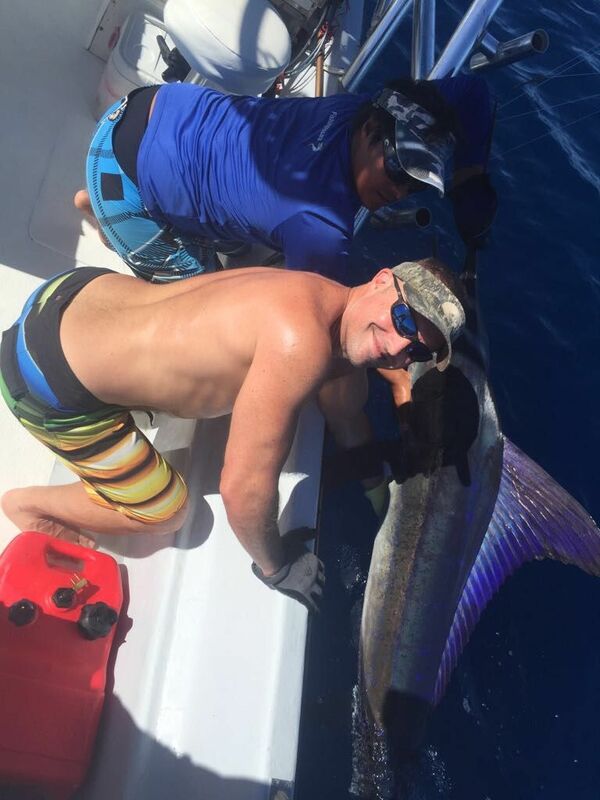 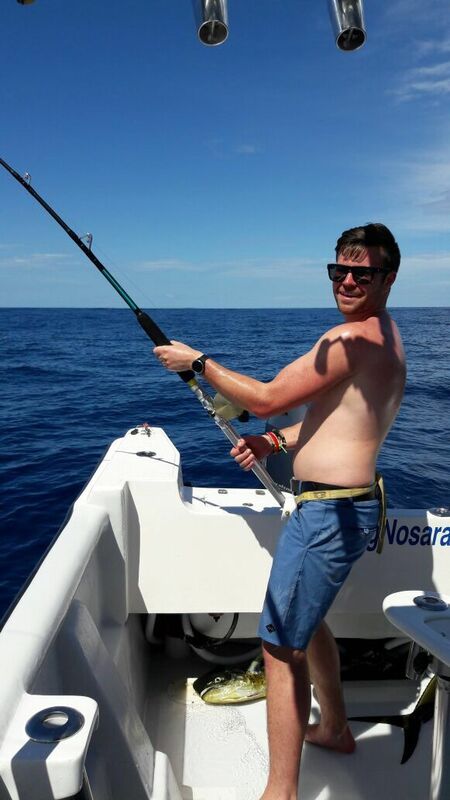 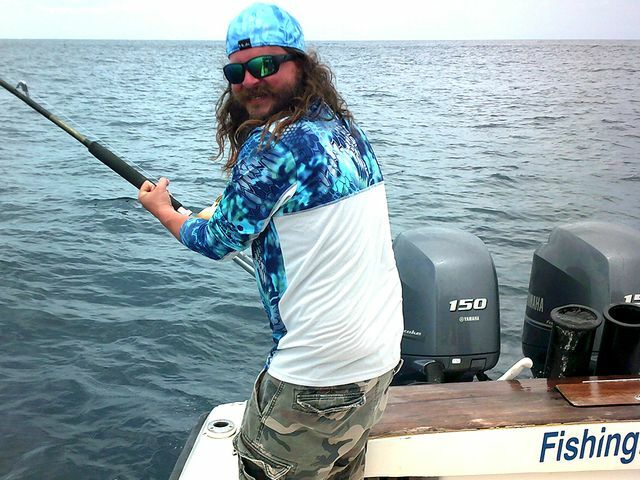 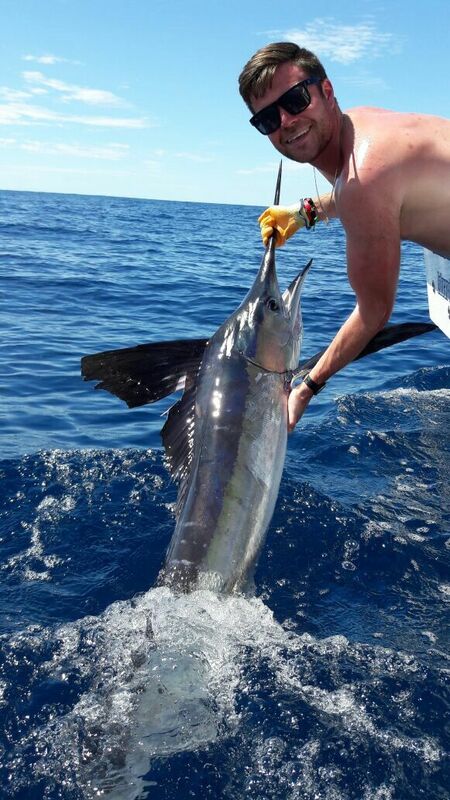 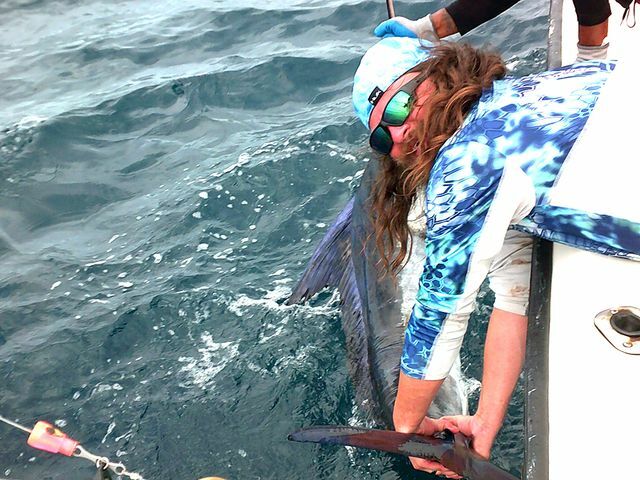 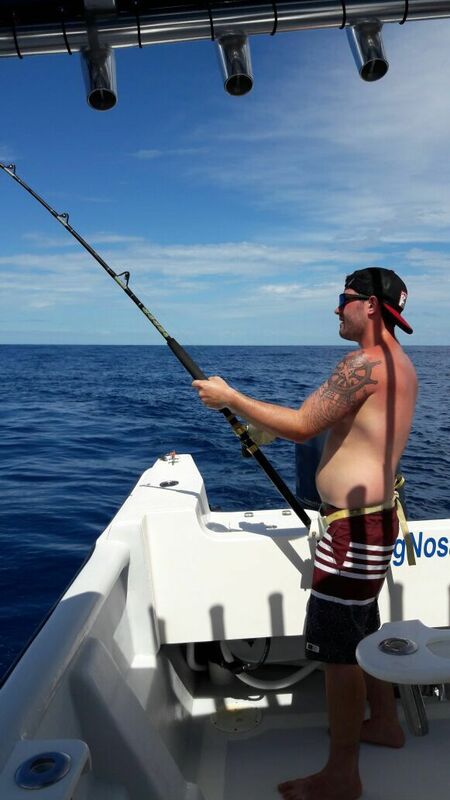 After the Marlin release they nabbed several super Sailfish. 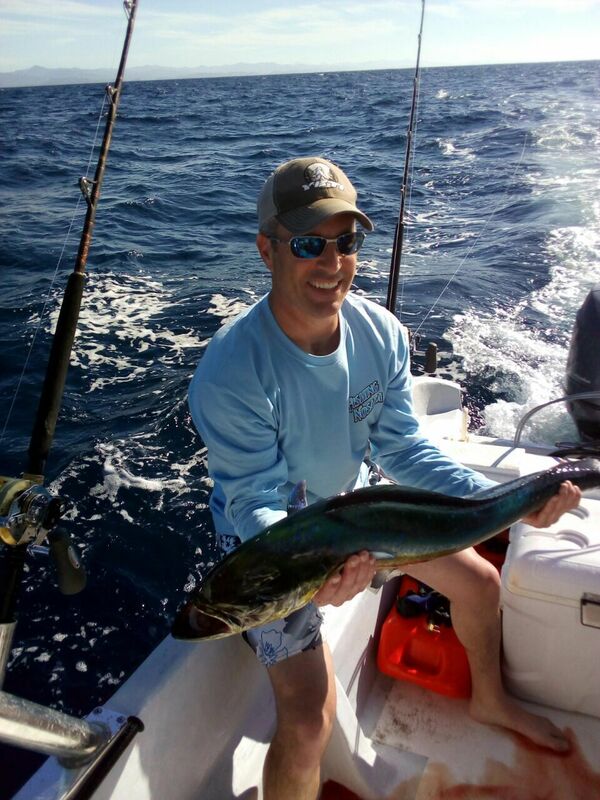 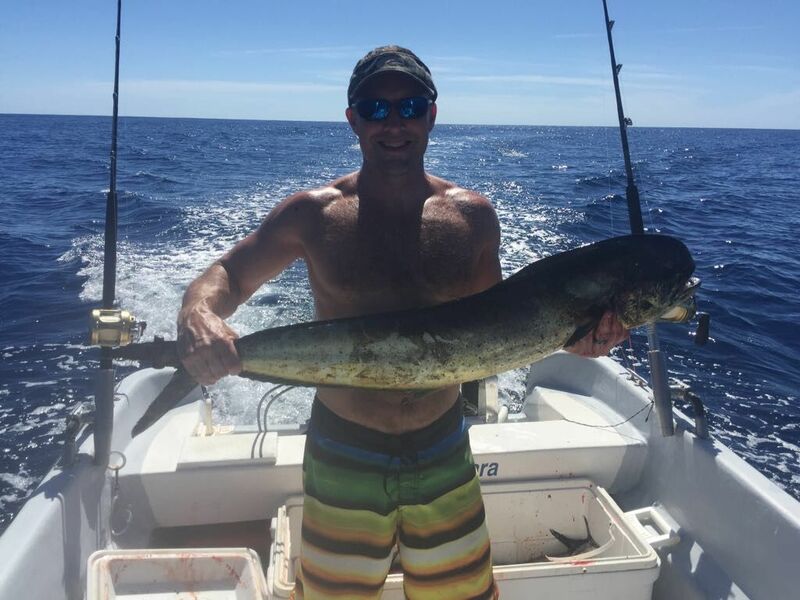 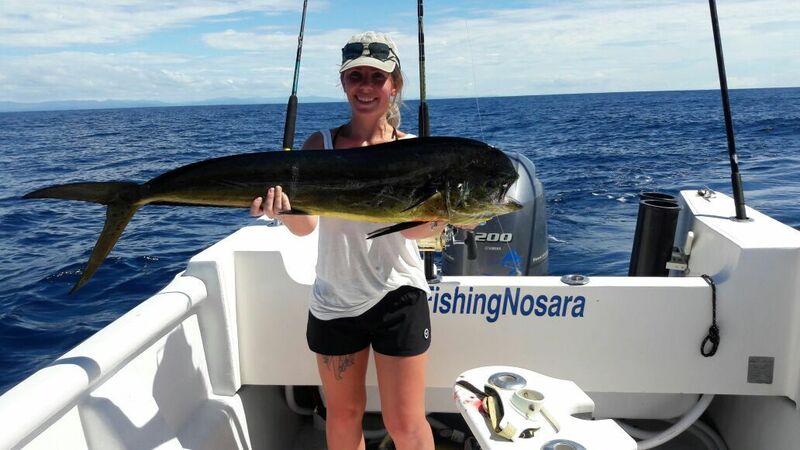 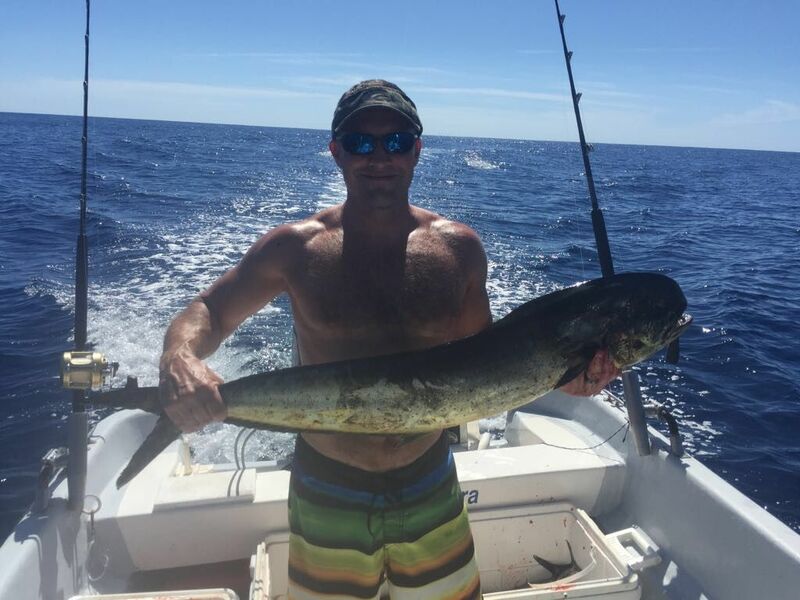 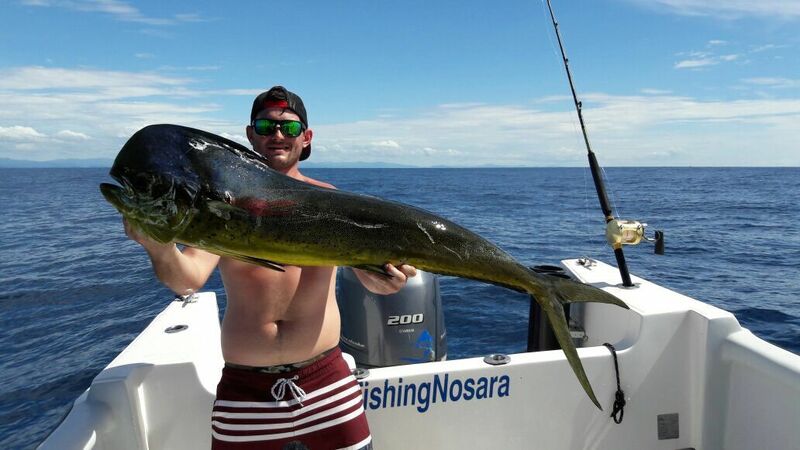 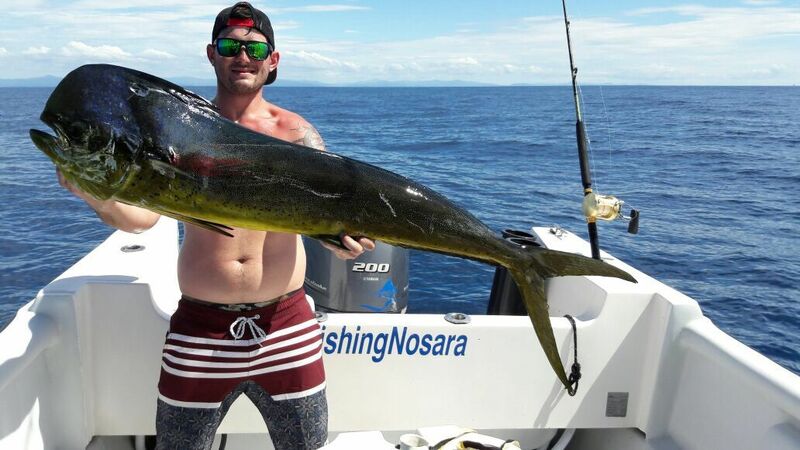 In addition several nice Dorados found their way to the filet bag. 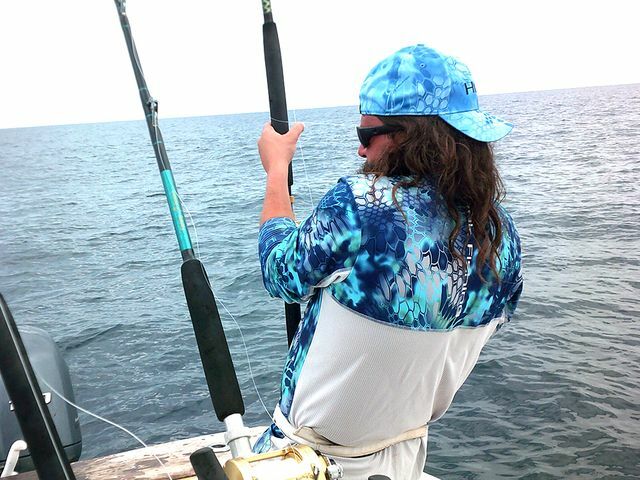 What an excellent day of action on the unstoppable Explorer. 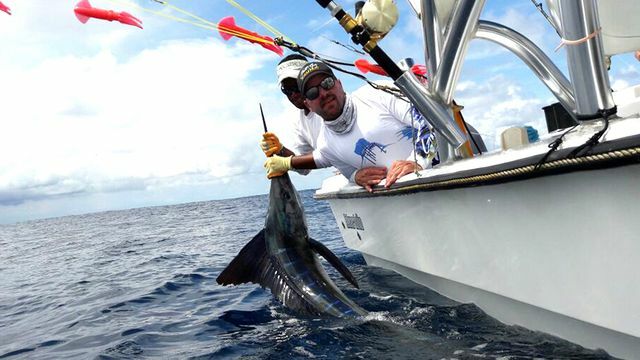 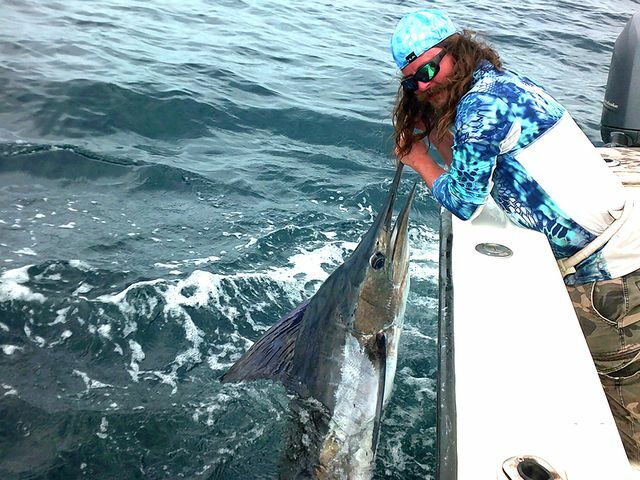 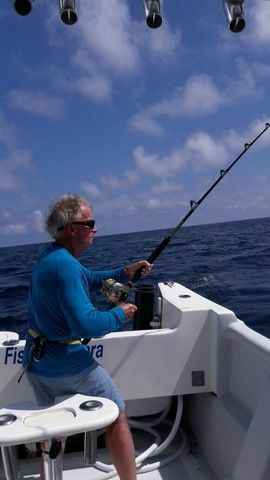 Roger Bowgen continued his great success on December 7 with Captain Alex reporting a wonderful Striped Marlin release. 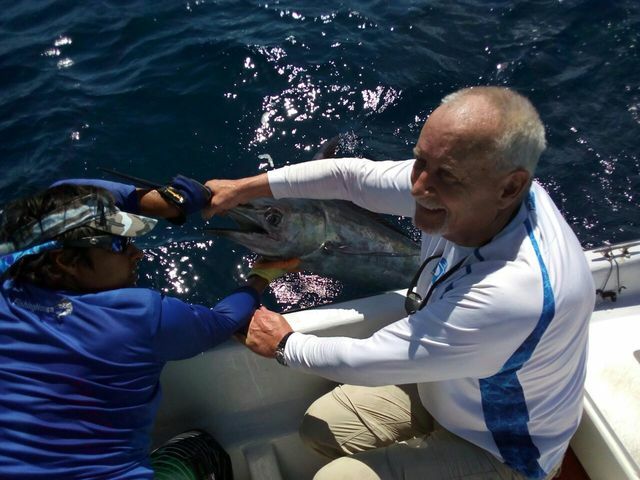 This was augmented by a nice Dorado catch. 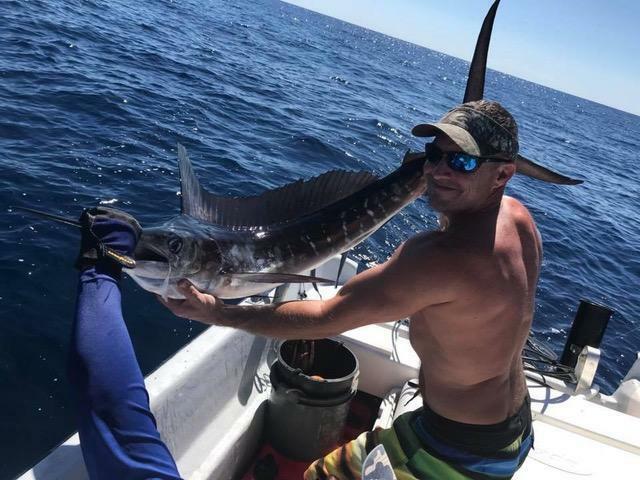 Great work by Team Bowgen!